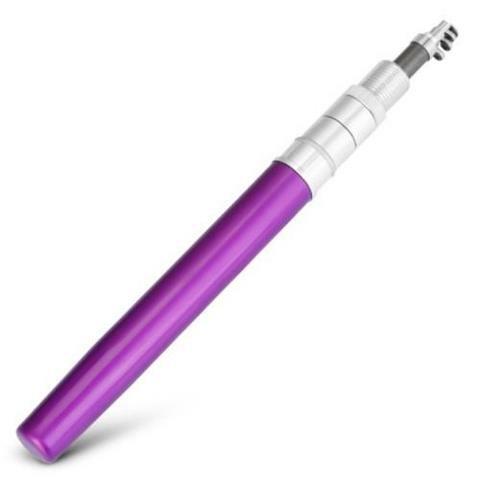 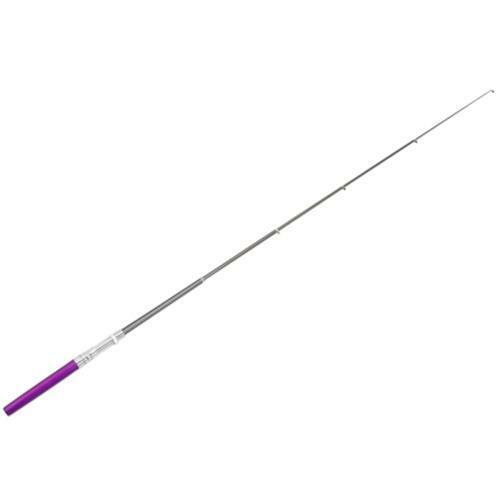 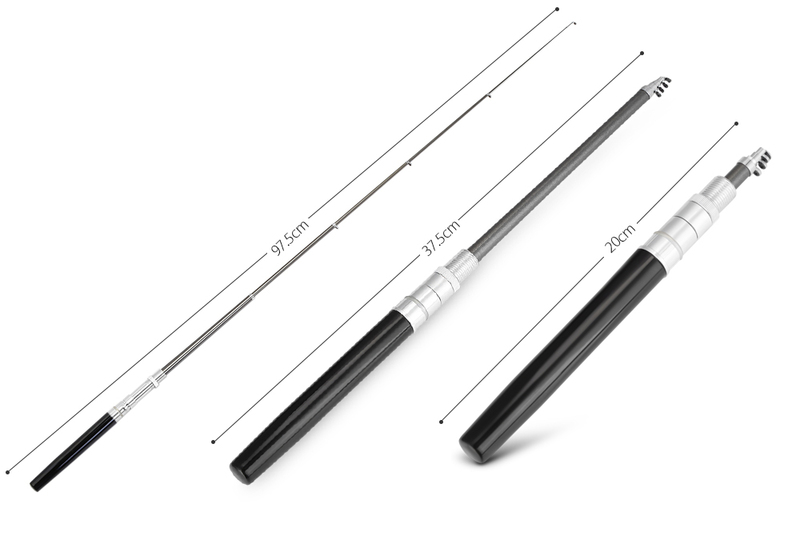 - Aluminum alloy shell + carbon fiber glass rod, rust proof, lightweight and long-time lifespan. 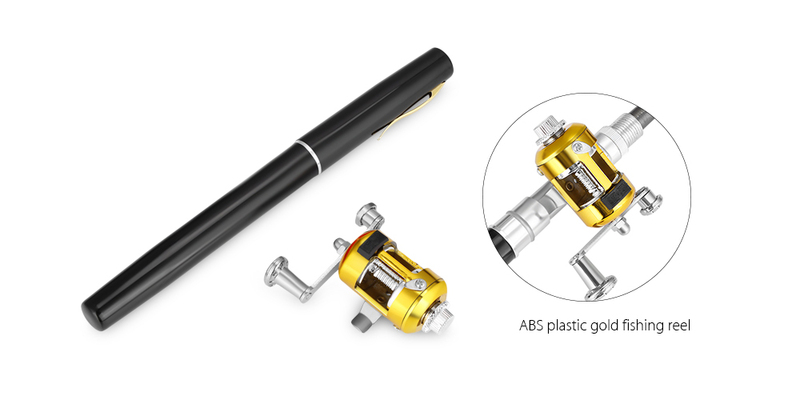 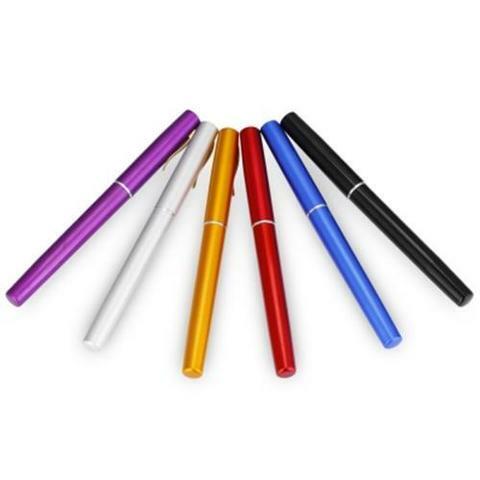 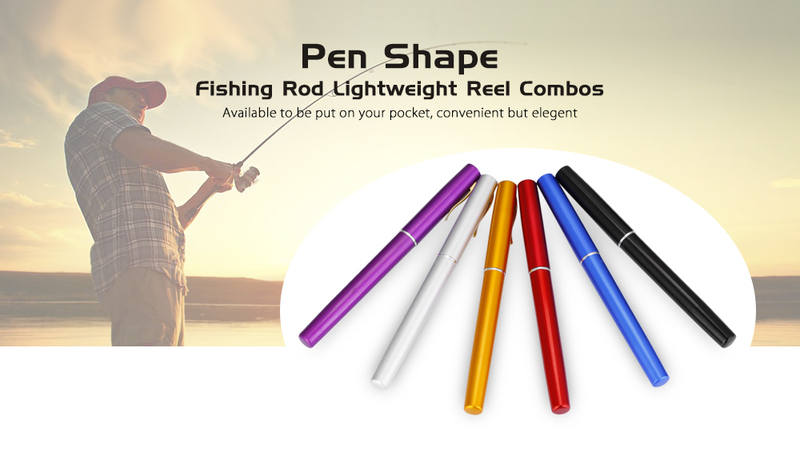 - Pen shaped design, fashion and delicate, suitable for fishing anytime, anywhere, such as saltwater and ice fishing. - 5 sections telescopic, telescoping range between 20 - 97.5cm. 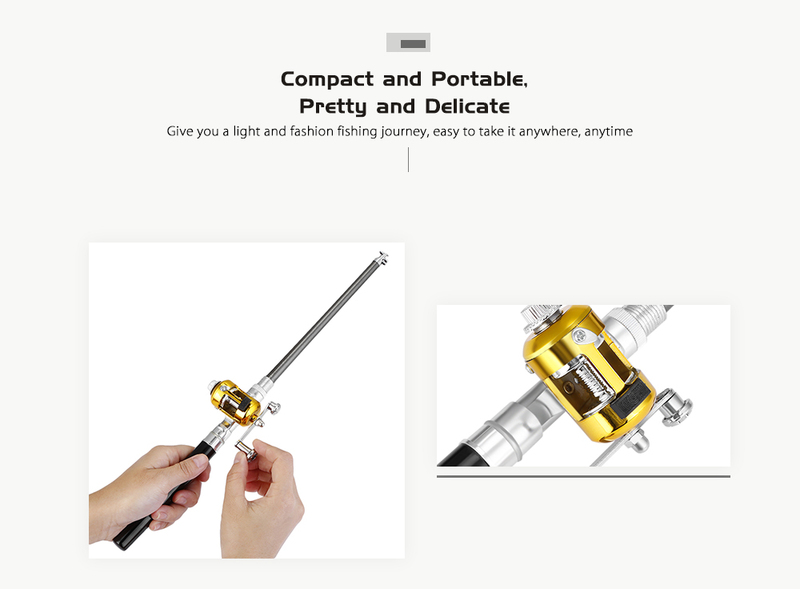 You can adjust the length when you're fishing. 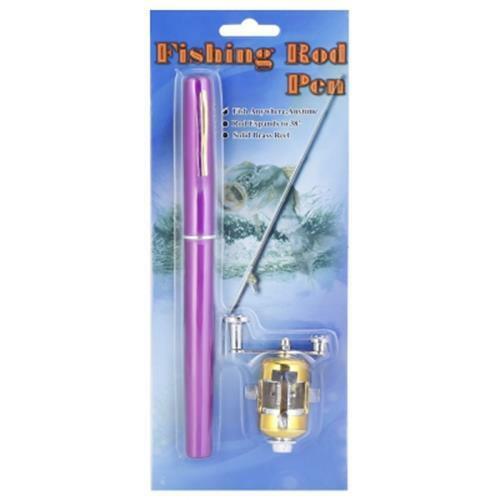 - The fishing rod comes with a fishing reel, made of high strength plastic, line capacity, and its gear ratio is 2.1:1. 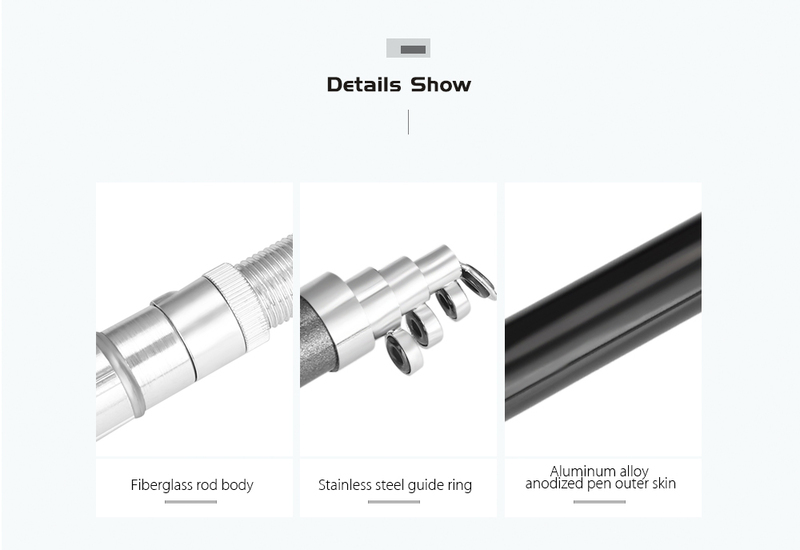 - Rod section is made of fiberglass. 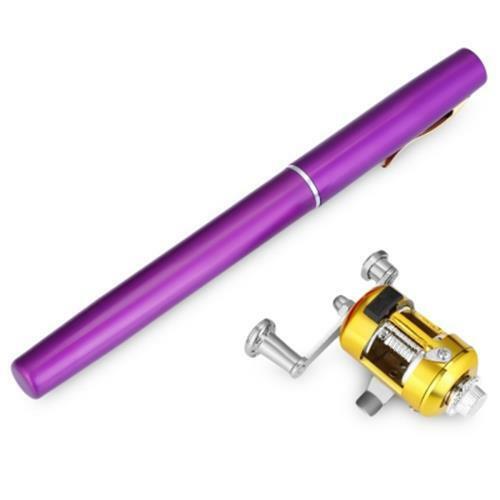 - Strong plastic reel housing, very durable.